maybe its just me but it looks like scratch has dropped about 70 pounds since the season ended. Here are some photos that I took since I can't upload them and put them in Fan Photos. nice to see some familiar faces there. It was a fun time, hopefully, we can get together more often. The staff at the museum did a really nice job of putting this exhibit together. They were happy to see us and are very proud to have Scratch there. It was nice to see some familiar faces and fans wearing their Cats jerseys. If you couldn't get there last nite. Go, you'll be happy you did. Actually one of things they'd like to have is a complete uniform. I told them I'd try and see if I could get people to donate some equipment. I'll probably be donating one of my game worn jerseys. If anyone would like to donate something - an IceCat helmet, socks, pants, skates, gloves - please contact me and we'll send them everything. Remember this is our history! I didnt get to go..not by choice, had other commitements. I havent been there since grade school. Why is it when you live near somthing you don't take advantage of these things. Take things for granted. I too will be going back as there was TONS of cool stuff there. As we were leaving many of spoke to the staff that was there and they would love it if others wanted to donate IceCat stuff for the room. You can contact the museum if you're interested. Well it was nice to see the folks that went last night. For those of you that didn't go - it wasn't as bad as i thought (as far as being a wake). They did a real nice job with the room. 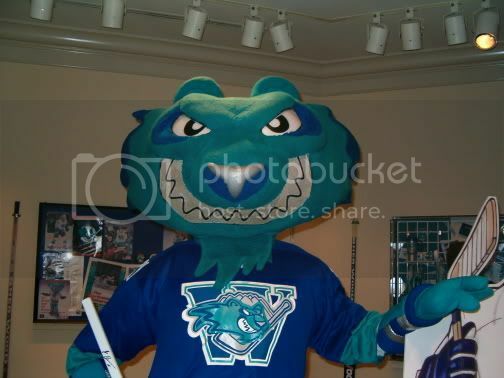 The DCU Center and the IceCats did a nice job giving them items. The people there are really nice, and are excited to have the IceCats memorabilia. On point to note: They mentioned that Scratch may still make appearances around Worcester - which I think is great. For example there was talk about him taking in a Tornadoes game. It was my first time in the museum - and I will be back. I got a chance to roam around other rooms - they do a great job. But you should all try and head down. They did put a lot of hard work into the room. More info from the Museum--Pounce will be making a LIVE appearance, however, his big brother, Scratch will not be (live, that is). Thank you KingIceCat for that positive remark. Yes it is a possibility that we could see him come out of the mothballs someday. I spoke to someone at the Museum. She was very vague on the details. It sounds like Scratch is arriving but will be motionless and lifeless in a display of some kind. I thought we would see him walking around one last time. I don't know if I want to go..... I don't know what makes this Family night. If I had little kids who really loved Scratch I wouldn't take them to see it. I think it would disturb them. All we know is that Scratch and Pounce'll be there. We don't whether there'll be real people or maybe motionless mannequins behind the blue furs. Do we? We may just have to wait to see for ourselves. I'm unable to go Thursday night due to a class I'm taking that evening. I would like to go. Where is the Museum? 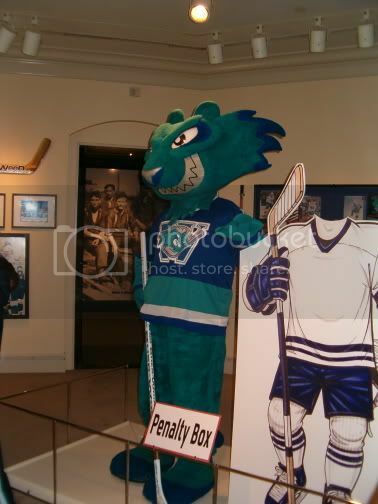 They better not just take Scratch out of a box and hang him on a hanger in a glass case. That would be really depressing. I'll be there. It's gonna feel weird. Almost like a wake.. But there's no way I'll miss it. Maybe we can all get together afterwards. 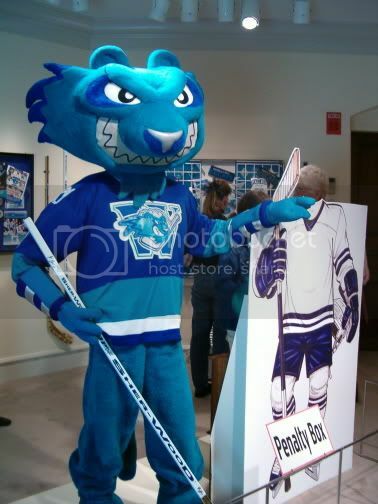 Family night at Worcester Historical Museum to celebrate the arrival of Icecat's mascot Scratch, and his brother, Pounce. Watch for more details. A sign outside the Worcester Historical Museum indicates that Scratch will arrive this Thursday. Apparently, there will be some kind of reception between 5:30-7:30. Anyone have more information?